Royal Kona Honey Macadamia. 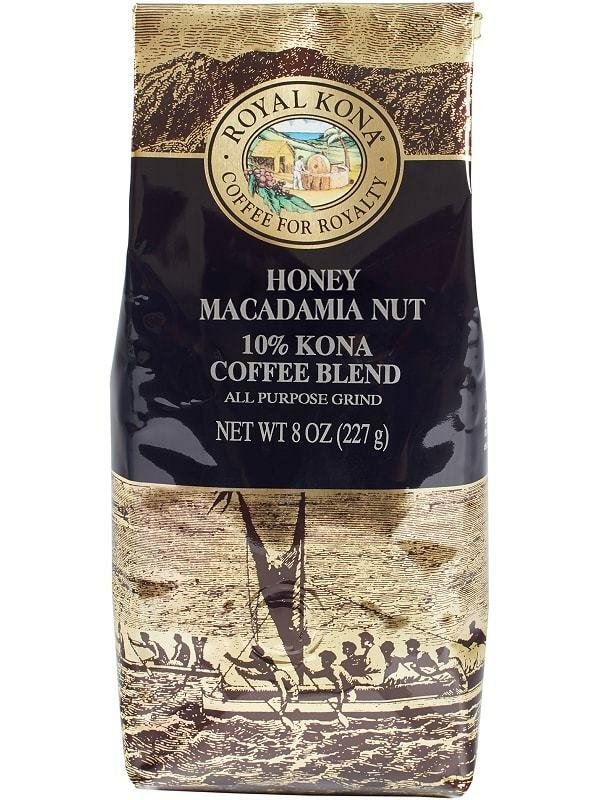 Bringing out the natural smoothness of Kona Coffee, notes of wild honey with the woodsy goodness of macadamia nut makes this a wonderful coffee to behold. Images of golden sunrises and gentle surf round out the overall experience of this coffee.